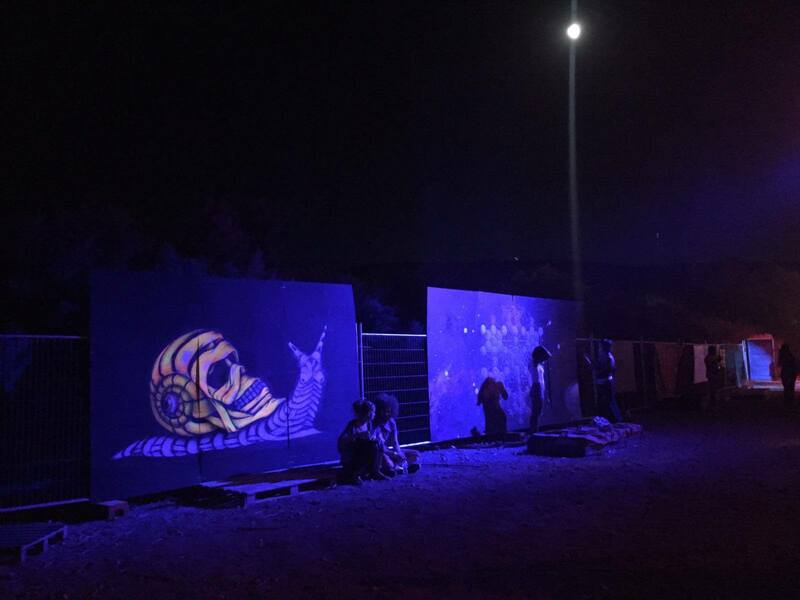 Otto Schade flu to Malta and attended Sunscape festival in Malta. 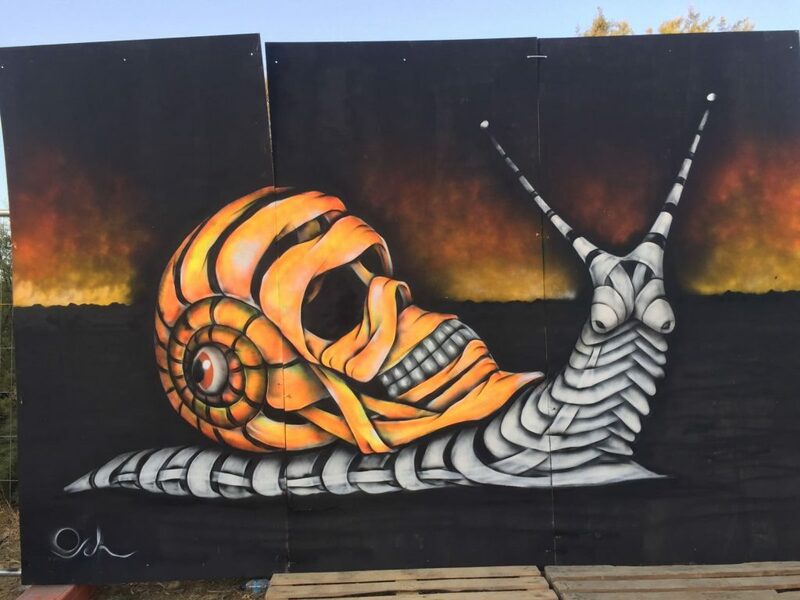 He produced new artwork for the occasion, namely “Snail’s life” which depicts a snail having as its shell, a skull looking one. 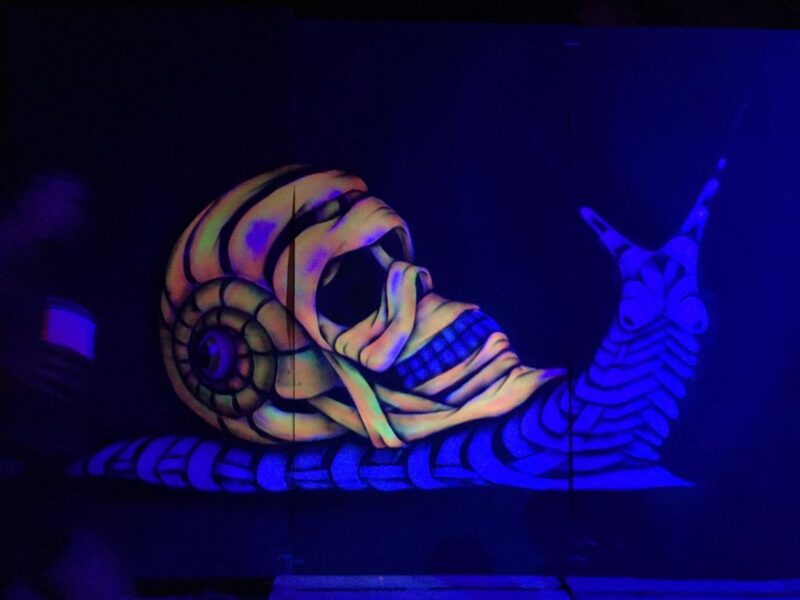 Special paint was used so the artwork glows in the dark, pretty cool uh?! Sunscape is a place to party; free our minds; learn and be inspired.A haven for us to enjoy the outdoors, make new friends and transform ourselves. A musical happening infused with creativity, performance and lifestyle activities. A playful exercise in the art of living and being co-creators in our own experience. Otto was born in Chile on the 30th October 1971. He initially studied Architecture at the Bio Bio University and Construction and Design Architecture in Concepcion, Chile. As a successful architect, he has been awarded for public and private projects. Otto has always felt an avid fascination for the Surrealists, as well as the freedom which surrounds abstract painting. This influence has made Otto turn his creative skills to painting, which has become his strongest passion and for which he has also been recognised with an honorable mention.